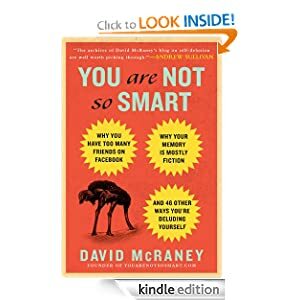 May Reading | Damian Trasler's Secret Blog - Do Not Read! May’s been a crazy month, with Mrs Dim’s birthday celebrations, unexpected illness, even more unexpected job interviews and a sudden rush of paid work for me at home. None of that, of course, has put a dent in my reading. In case people think I laze around reading when I should be doing productive things, let me reassure you: I read at night, I read over breakfast, and I will take the latest book with me anywhere I think I might be sitting around for more than five minutes…And two of my weasels are being treated at the Orthodontist right now, so I have lots of those five minutes. 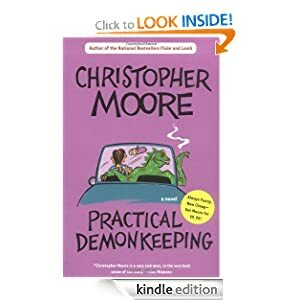 I’m a fan of Christopher Moore’s work in general, but this book feels a little like a departure for him. 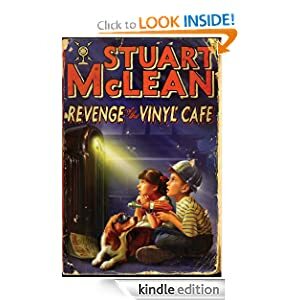 While no less imaginative or anarchic, it’s shot through with some interesting observances and philosophy, as well as beautiful illustrations of (mainly Impressionist) artwork. I studied History of Art for a while in college, and this book was like a walk through the happier parts of that course. There are some parodies that can’t sustain the joke beyond the title. This isn’t one of those, aping the storyline of the original book to a certain degree, but wandering away when it’s clear the author found the ending of that novel to be a let-down. I enjoyed this far more than I thought I would, and I’m glad I stuck with it. Having read the other volume of these collected comics from the library last month, I wanted to complete the set. Looking back, now three weeks on, I don’t remember much of this one at all. That can’t be much of a recommendation. 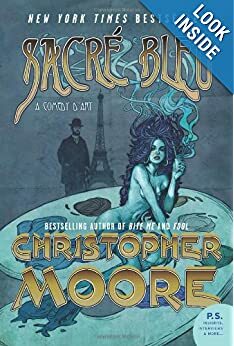 Reading “Sacre Bleu” reminded me how much I liked Christopher Moore’s work, so I went back to this book, the first in his “Pine Cove” series. It’s a wild ride, featuring Catch the demon (who also appears in his religious work “The gospel according to Biff”). Nothing in the book happens quite as you expect it to, which I think is as it should be. I’ve probably said before how much I enjoy Stuart Maclean’s stories about Dave and Morley and their family. He’s like Garrison Keillor without the savage undertone. We were lucky enough to get tickets for a live show at Christmas and saw Stuart performing two stories onstage – he’s so enthusiastic that he bops up and down with the words, his hands always moving, his face as expressive as his voice (which always reminds me of James Stewart somehow.) 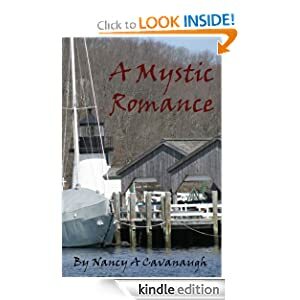 This collection is the regular kind of wonderful, though the last story was almost too sad to bear – it’s called Morte D’Arthur, and anyone familiar with the members of Dave’s family will know enough to stay away from that one. Especially if they’ve ever had pets. I haven’t covered any YA or dystopian futures yet, so here’s one that’s both. Years after a disastrous war against their own race of super-soldiers (The Partials), mankind is reduced to a tiny enclave on Long Island. But no children have been born in the last fourteen years that survive more than a few days. The virus released by the Partials kills them all. Despairing of the lack of research done, one brave girl decides to capture a Partial and see if their immunity can be passed on to the babies, before revolution or the latest draconian laws destroy her tiny community altogether. I enjoyed this story more than I thought I would. 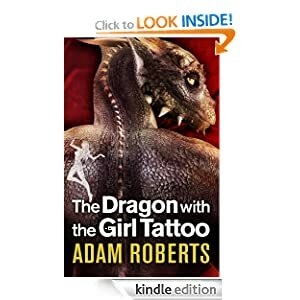 Well written and even more well thought out, the twists and turns of the plot are surprising but believable and the world itself feels possible. This book is the collected posts of a blog (a bit like mine! Yay!) but this blog deals with psychological issues, mainly of perception – all those things that we think we know, all the “man in a pub told me” kind of facts. For example, there’s a telling piece on the experiment to have students act as jail guard or prisoners for two weeks. Guards and students were chosen at random, but within days the guards were going beyond their remit to ‘punish’ the prisoners, and the prisoners themselves were suffering from depression and lack of self-esteem. This tells us a lot about how we might act in similar situations, and is typical of the genuine science the book pulls out to show the reader how we might be fooling ourselves about the things we know. 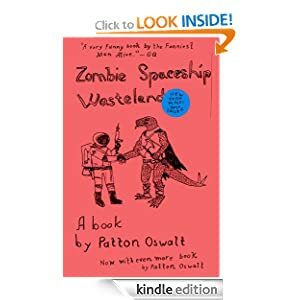 Thinking at first that this was going to be the weirdest novel ever, I was a little disappointed to find it was a collection of thoughts and opinion pieces by the comedian Patton Oswalt. He had a resurgence of internet fame after his comments following the Boston Marathon bombing became the most-shared internet wisdom on the subject. I struggled with some of the pieces in the book, and found others to be too painfully honest, but the title actually refers to a vague system Oswalt has devised to divide up the human race. I’m not going to summarize it here, because it may be the one thing worth picking up the book for. Many years ago a friend lent me a copy of “Pyramids” and I was instantly hooked on the Discworld. Since then (which is a scary number of years…let’s see, 1990…Wow, 23 years!) I’ve collected all the Discworld books, and read every other book he has written. This collection of short fiction pieces showcases work from throughout his career, including a story he wrote when he was thirteen, which he credits with giving him the confidence to believe he could write stories other people would enjoy. There are two halves to this book, being regular stories and Discworld stories. There weren’t any that particularly stuck out, but I enjoyed the read, and the hardback version I read had some beautiful illustrations included. I don’t have an illustration for this book, nor do I have a link (yet). Nan is one of my good friends on G+, and she has provided good advice and excellent editing services in the year or so since I’ve known her. She asked me to Beta-read her new YA novel and I accepted without hesitation. “Amrita” isn’t the kind of book I’d usually pick up for myself. It’s a YA novel about a young Indian bride, brought across to America when her husband’s father finds him a job with a technology company. Amrita has to struggle to find her place as a new wife, living in the home of her in-laws, but also having to attend High School and keep the fact of her marriage secret from the other students. The book is not a condemnation of other cultures or individuals, but it’s using Amrita’s situation to talk about young women finding out that they are more than the labels and expected duties of their society. It doesn’t matter if you’re raised in a strongly traditional part of India, or the deep South of America, or Upstate New York, you have the right to be yourself, to find out what your own limits are, not have them placed on you by other people. It was a hard read at times, with my blood boiling with indignation on Amrita’s behalf, but I think that’s a good sign – when a situation in a book causes an emotional reaction, it means you’re in that world, you’re believing it. 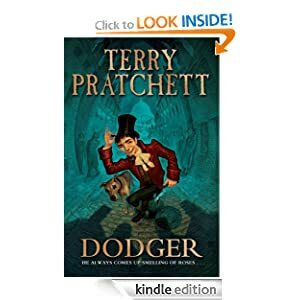 Despite my previously stated love of Terry’s work, I had been avoiding reading Dodger. Some of the reviews I had read had told me it wasn’t a Discworld novel, and the last non-discworld book of his I had read (“The Long Earth”) was intriguing but ultimately unsatisfying. Dodger is set in Dickensian London, and Dickens is only one of the famous characters of that time to wander through the story. Dodger is a street urchin, a Tosher, who makes his living from the detritus washed into the city’s drains and sewers. He saves a girl from a savage beating and becomes a target for the same men when he hides the girl from them. I enjoyed the story, but after it was done, it occurred to me that Dodger was never actually in any trouble. He plans ahead, uses his many street contacts and his new friends in high places and is always one step ahead of the bad guys. One of the things I loved about the Modesty Blaise series by Peter O’Donnell was that Modesty and Willie would meticulously plan their operation, and within minutes of it beginning, something unexpected would disrupt everything and they would have to start anew from a very perilous position. 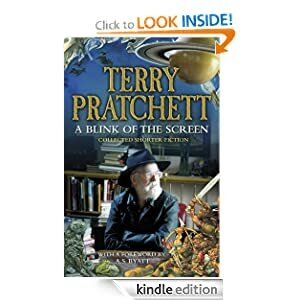 Someone mentioned recently that, reading the “Watch” series of Pratchett books, it’s like Terry likes his characters too much to put them in any real peril any more. I think there’s some truth in that. A little while ago I reviewed my rediscovered copy of “Han Solo and the Lost Legacy”. 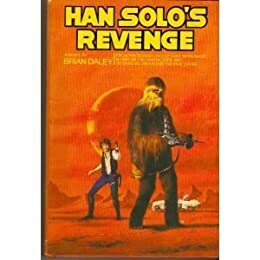 Well, this week a parcel arrived from the UK with a stack of “Doctor Who” books for Eldest Weasel, and tucked in amongst them was this gem, the first in the trilogy of Han Solo adventures by Brian Daley. The book finds Han and Chewie very nearly down and out, struggling to make ends meet and get the Falcon repaired. This state encourages them to take a dodgy job they would otherwise have avoided, which gets them involved in a Slaver’s ring and a big investigation by the Corporate Sector Authority. 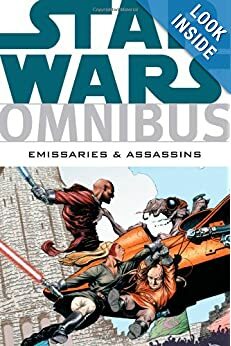 It’s fun, and well-written by someone who clearly loves the characters. And since this was a UK version, the droid on the ship is back to being called “Zollux” which sounds soooo much better to me. This is the second time I’ve tried to read this book. I always think I’m more of a Batfan than I really am, and this is old Bruce Wayne, feeling the strain of the years and relying on the exoskeleton in the Batsuit to help him get through the night. 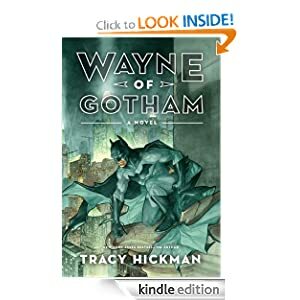 A convoluted story that will probably delight the true fans out there, this draws a tight web around Alfred and Bruce’s parents and the genesis of the many wild villains that populate Gotham city. I found it hard going, and at one point, utterly perplexing. Hearing a recording of his father’s voice, Bruce learns some troubling things about a crucial stage of his father’s medical research. But his father says “I’m leaving this record for my boys… Both of them…”. At the time I filed the detail away, waiting for Bruce’s younger, or older, or twin brother to suddenly step out of the shadows. Or for Bruce to be killed and his brother emerge to don the batmantle. Except that didn’t happen. Blah, blah, blah, fight, struggle, succeed. No mention of a brother. But this wasn’t a typo. A single error, yes, that I could accept, but the other sentence began with “Both of them” and it’s really hard to make a mistake like that when you’re talking about an individual. So, although I read to the end, I found it, ultimately, a depressing book. Maybe I should stay away from the Dark Knight altogether…. All the illustrations and all the links regarding the books have been taken from Amazon.com. Apologies if you’d like to track these books down in some other land (like Canada, for instance!) but most should be available in your own native Amazon stores. Also, remember to check your local library for these books too. Today being the final day of May, it also sees the end of the promotional price for “The Great Canadian Adventure”, reverting to the regular price of $6.99 from tomorrow. You still have time to pick it up at the bargain price of $2.99, but only if you hurry! 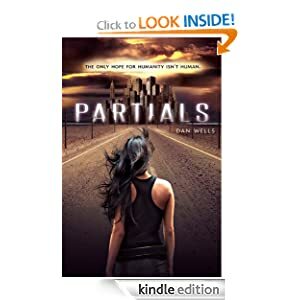 This entry was posted in Book reading, Writing and tagged Batman, Books, Christopher Moore, Demons, Han Solo, Partials, Patton Oswalt, Reading, Stuart Maclean, Terry Pratchett. Bookmark the permalink.